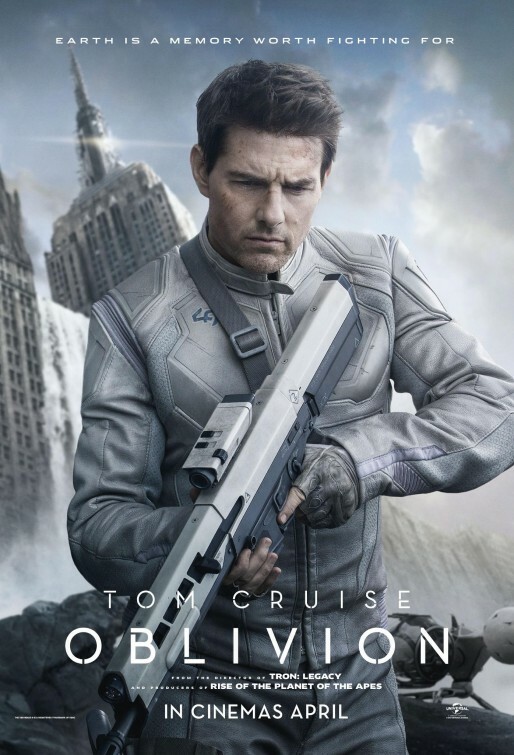 We went to see Oblivion on Sunday night with much skepticism and no idea what the movie was about. I'm generally not overly impressed with mainstream science fiction movies and, well, Tom Cruise was not really helping those expectations any! Well, I was pleasantly surprised. It started off nice and slow, introducing Victoria and Jack and Sally, plus the world they inhabit, but you still had the nice little hints that things aren't quite what they seem. Then the action picked up, Julie arrived, and things got really exciting. Plus there was the unexpected bonus of Nikolaj Coster-Waldau , aka Jamie Lannister, popping up midway through the movie! I was engrossed from start to finish and thought it was a brilliant story line. By the end of the movie, I was praying the graphic novel by the writer, Joseph Kosinski, had been released so I could read it only to be brutally disappointed that it hadn't! This is definitely a science fiction movie I'll be watching again and I recommended it to anyone who loves action, even if you are not a big sci-fi fan.